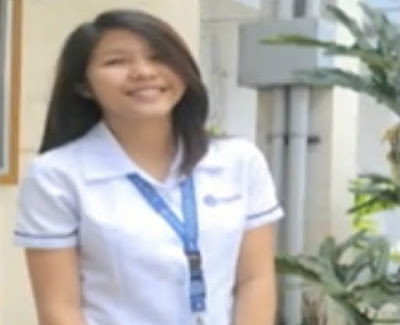 MANILA, Philippines - A 19 year old Mass Communication student at Adamson University fell to her death after taking selfies on the roofdeck of Dahlia Tower, Suntrust Parkview Condominium in Ermita, Manila on Tuesday, January 5. Pagalilauan was declared dead on the spot after falling 20 floors from a condominium building. Cristina Marie Pagalilauan had just finished taking selfies with classmate Jonea Mildred Ani when she fell 20 floors from the condominium building. Pagalilauan was no longer rushed to a hospital after being declared dead on the spot. Despite Ani’s warning not to climb the wall, Pagalilauan proceeded. Since Ani was busy scanning the selfies they took, she didn’t see Pagalilauan fall. Pagalilauan’s boyfriend, who is currently in Mindanao, rents a unit at the fourth floor of the said condominium. According to the police, the two students went to the condominium to dye Pagalilauan’s hair. The two decided to postpone the hairdying and opted to take selfies at the roofdeck. Pagalilauan thought the sunset, which could be viewed at the roofdeck, would make a nice background for the pictures. Initially, the students took photos at the safer spot on the roofdeck. However, Pagalilauan decided to move to the parapet wall to take pictures from below the roofdeck.